memoQ 5 cannot add words to external dictionaries, such as those in Microsoft Word or Hunspell. 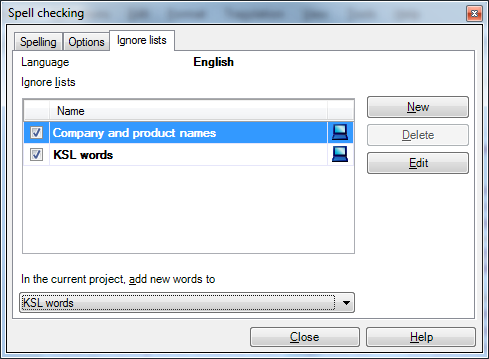 But words to be skipped by the external spelling checker used in memoQ can be added to ignore lists, which are consulted before Hunspell or MS Word dictionaries. 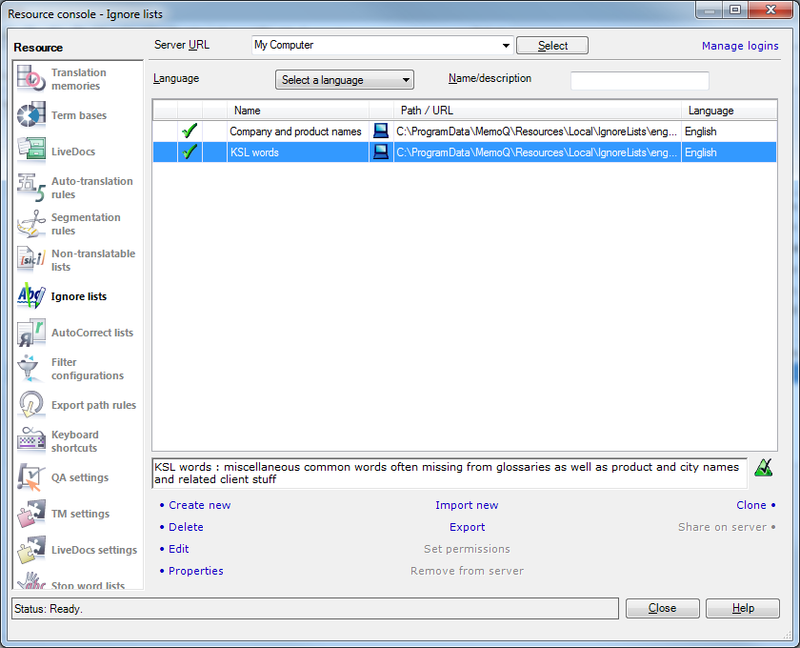 Words to ignore might include company names, product names, geographic terms or any other terms (such as special subject vocabulary) not in the external dictionary. These “ignore” lists might better be called custom dictionaries. memoQ consults its ignore lists before checking a word in the external dictionary. or Tools > Options… > Ignore lists. 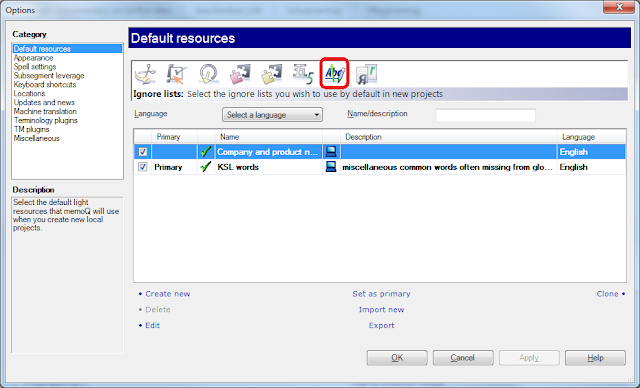 Activate or deactivate lists in a current project via Translation > Spelling… > Ignore lists. Checkmarked lists are active in new projects. Clicking Add during a spelling check puts words in the list specified on the Ignore lists tab.